Wouldn't it be nice if life came with hints? 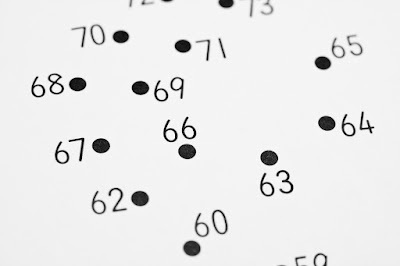 If the dots in the big picture all came with numbers to tell you that they definitely fit and how to move from one to the next? I just finished reading The CEO Next Door and what jumped out at me was the phrase "connect the dots." It's a sample of language that is so clear and simple we often skip over the complex situation it describes. CEOs need to 'connect the dots.' So do you. And here's the catch, whether you're an intern or a CEO: your dots don't come with instructions.